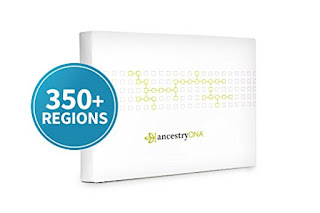 Snag this AncestryDNA: Genetic Testing - DNA Ancestry Test Kit for $68.95 (Retail $99). -The #1 selling consumer DNA test is also the leading DNA test with over 1 billion family connections. -Uncover your ethnic mix across 350 regions worldwide, two times more than then next leading competitor. -Ancestry has the world's largest consumer DNA network— almost 10 million people and counting. -AncestryDNA helps you discover the people and places that made you who you are. Valid 4/25 or while supplies last.